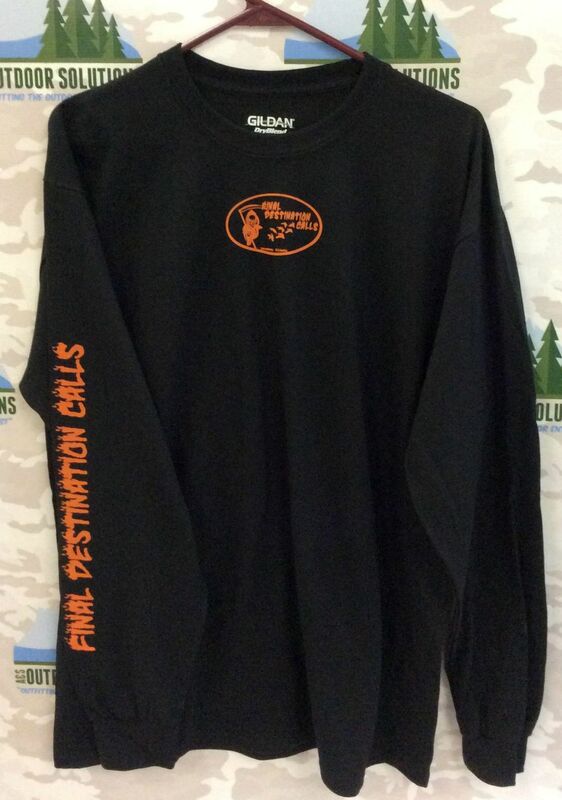 Final Destination Calls — Show off your Final Destination pride with some great apparel. 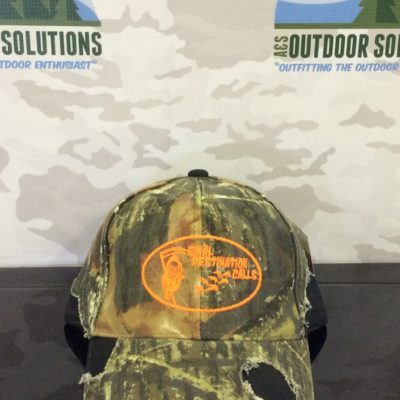 Find the perfect t-shirt, sweatshirt, or hat to sport around town. 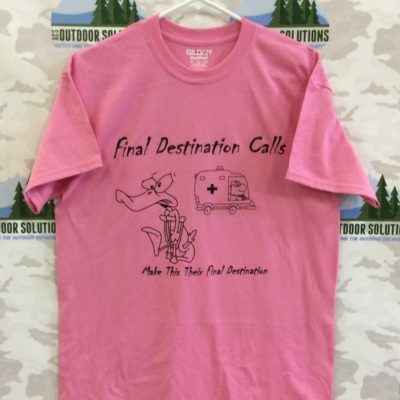 You will be sure to find one you love with the wide assortment of colors and styles that are offered. 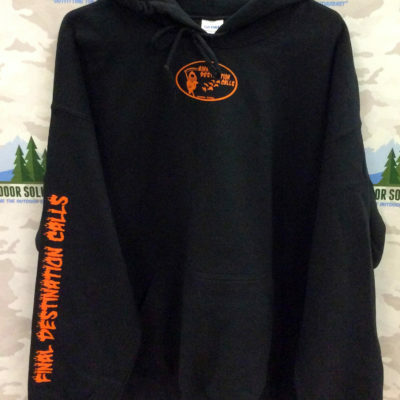 T-shirts and sweatshirts are a cotton/polyester blend to fight against shrinking as well as help the fabric stay nice with washing. 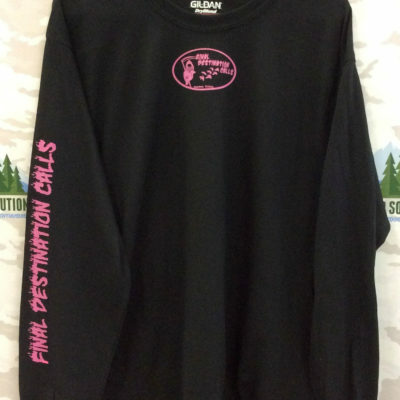 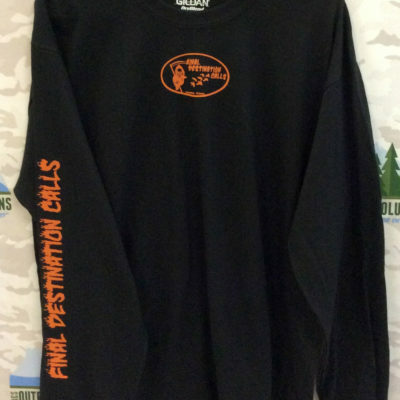 Additionally, sweatshirts have a heat pressed Final Destination logo on the center of the front, down the right sleeve, with a big logo on the back. 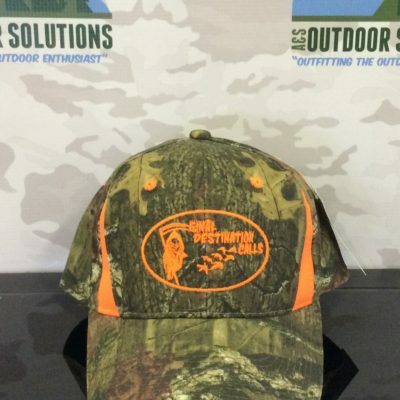 Many different styles of licensed camouflage hats are offered in this section. 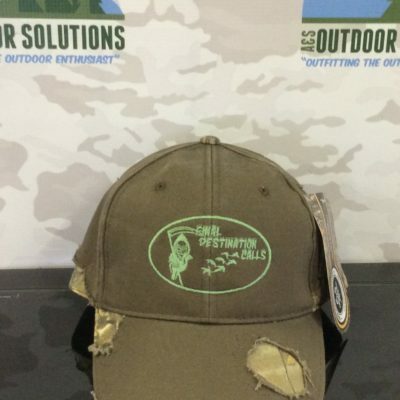 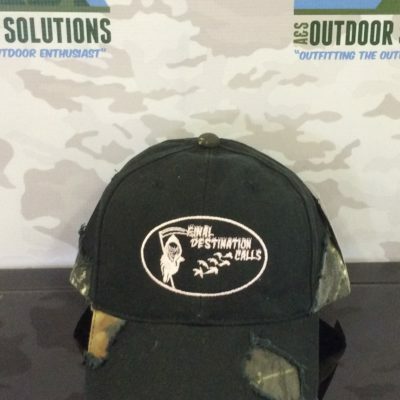 These are also completed with several colors of the Final Destination Calls logo embroidered on the front of the hat.